E.J. Tangonan graduated from Missouri Western State University in 2011 with a Bachelor's Degree in Theatre/Cinema. He has been a producer, writer, director, grip, dolly operator, cinematographer, graphic designer and even performer. E.J. practices all the different aspects, but he is first and foremost interested in being an actor. He has been in plays since elementary school and all the way up to college. 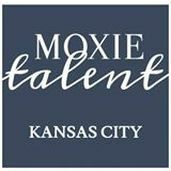 Through several channels in Kansas City, including his talent agency, Moxie Talent, and his friends at Wright/Laird Casting, he has had opportunities to work in ample projects ranging from commercials, short films and print-work for businesses such as AMC Theatres, Price Chopper, Hallmark, Wendy's and KFC. As well as a few independent features. Interested in E.J. 's work? Contact him! Here's E.J. 's blog! This is where he will continually update in response to entertainment stuff, post his favorite videos, or just fun commentary!